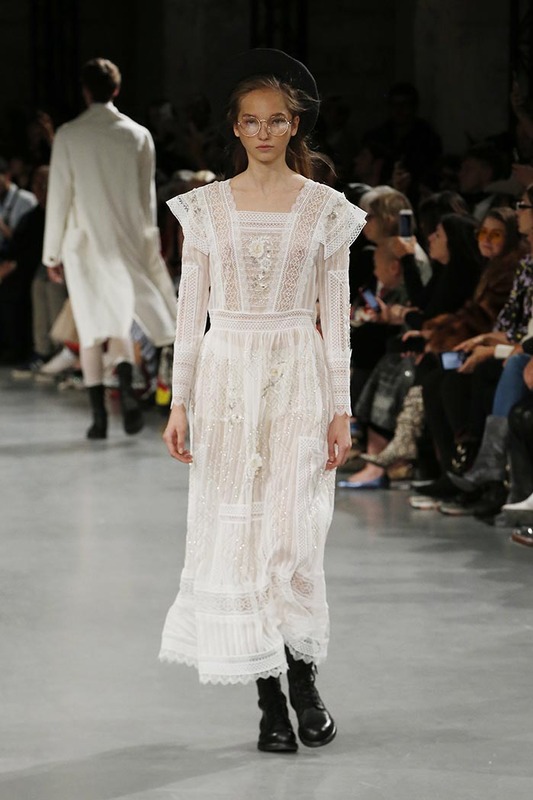 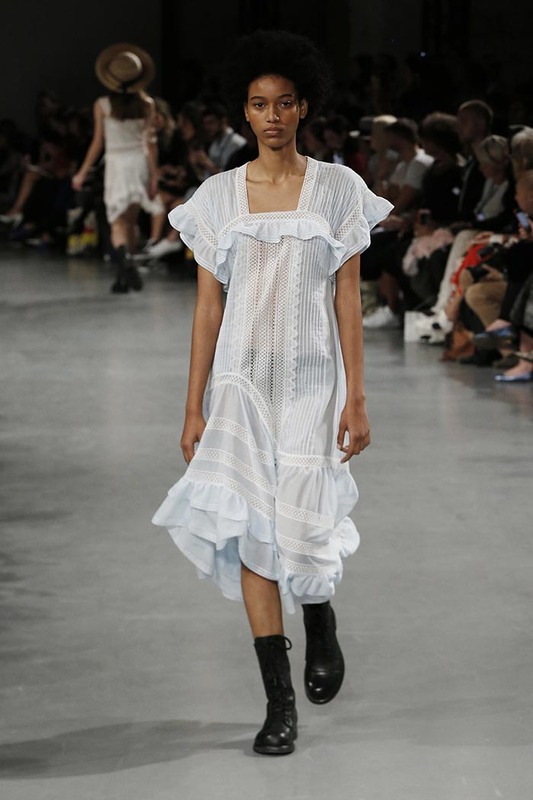 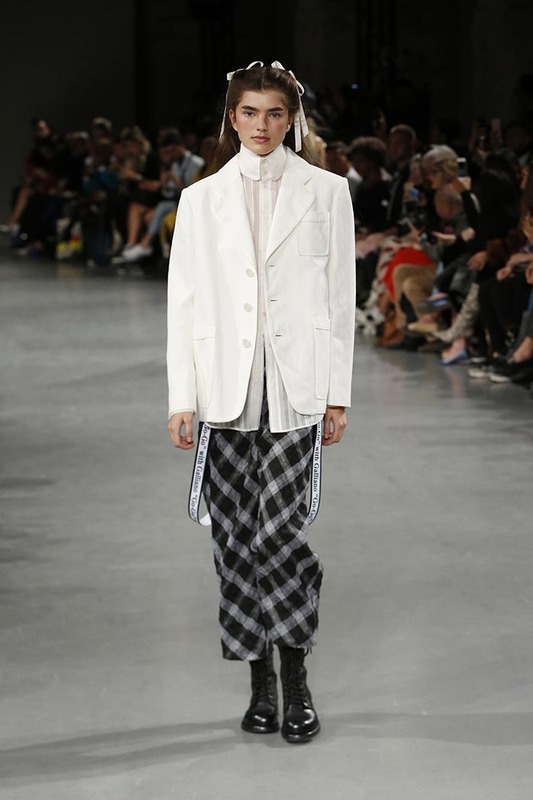 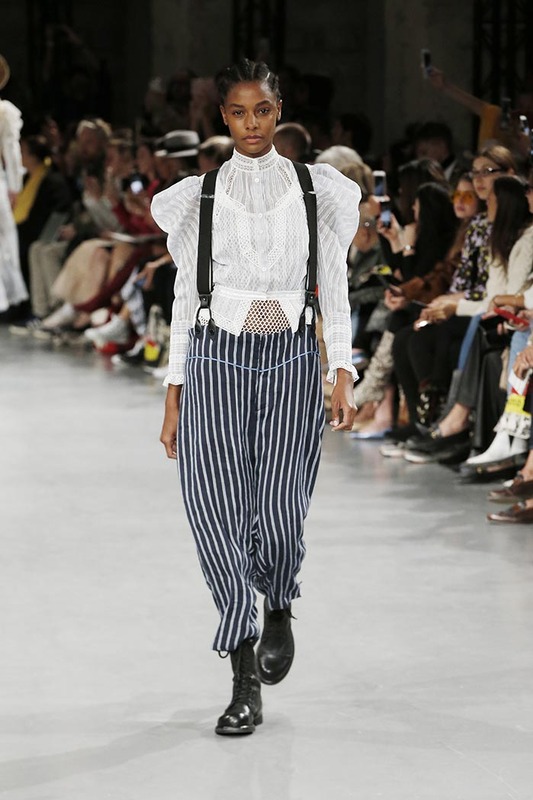 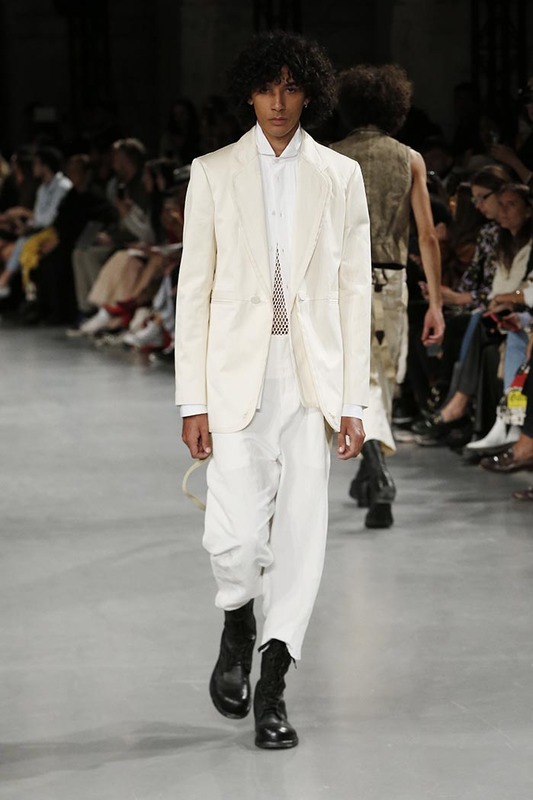 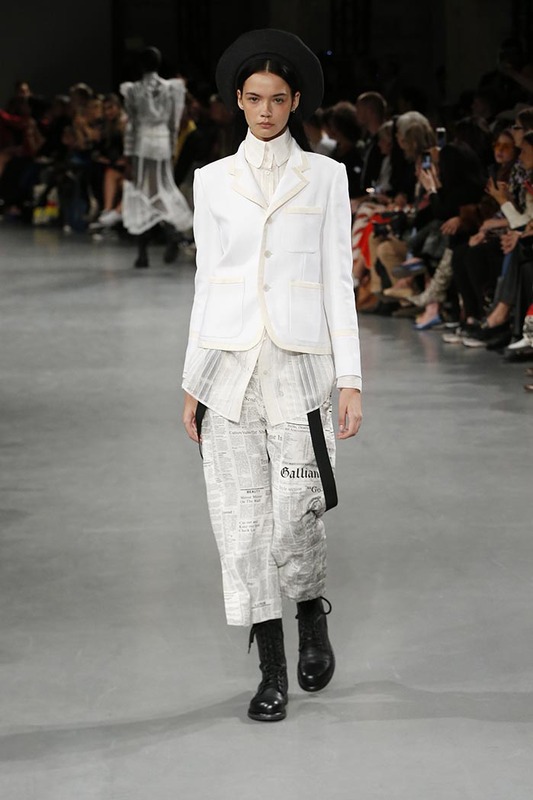 Galliano Spring Summer 2019 is unashamedly pretty, inspired by the original Picnic at Hanging Rock. 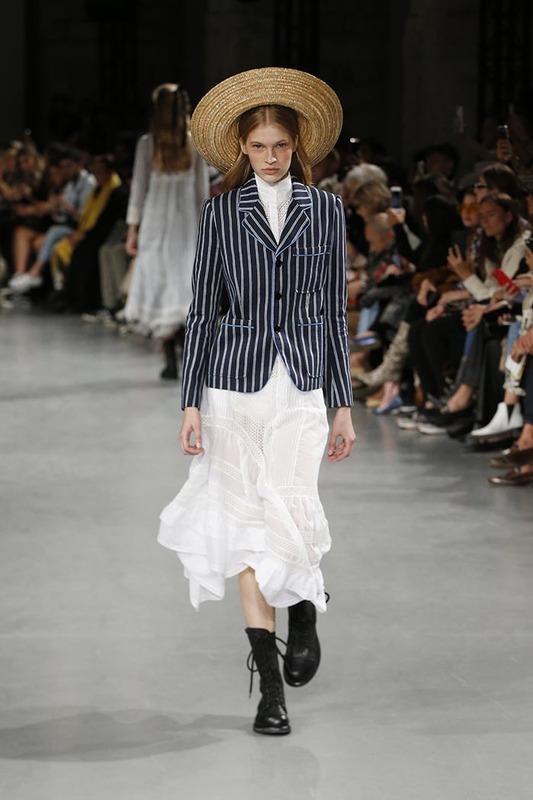 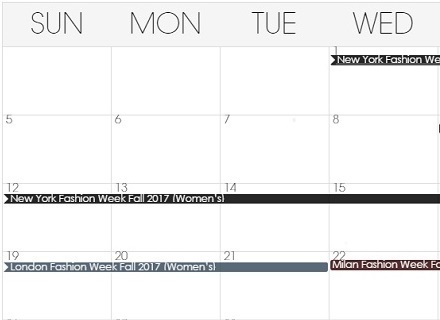 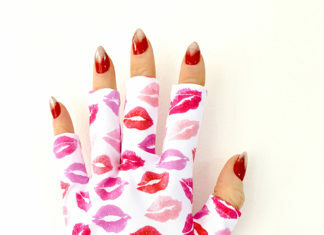 Galliano girls offer a modern twist on the St. Valentine’s day explorers; feminine, romantic and innocent, wearing lace-panelled pinafores, the Galliano Gazette or their regatta stripes, with straw hats and berets. 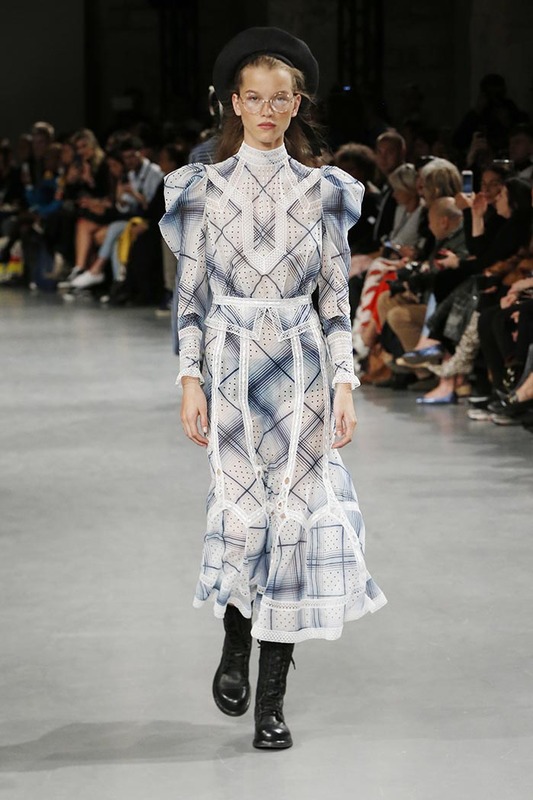 A sun-bleached palette of blues, pinks, monotones to midnight blue compliments the demure high-collar school-girl shapes crafted in feather-light layers of tulle, point d’espirit, lace and woven organdie bands, that flutter down the form in transparent ripples, while tailored check is printed on bias cut shapes. 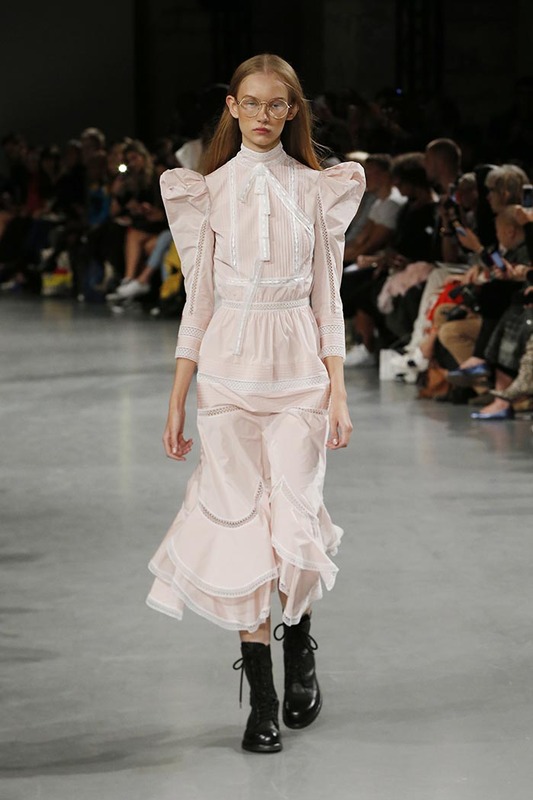 Signature tailoring and delicately ruffled gigot sleeves create a soft Galliano silhouette that is embellished with delicate thread and beaded embroidery. 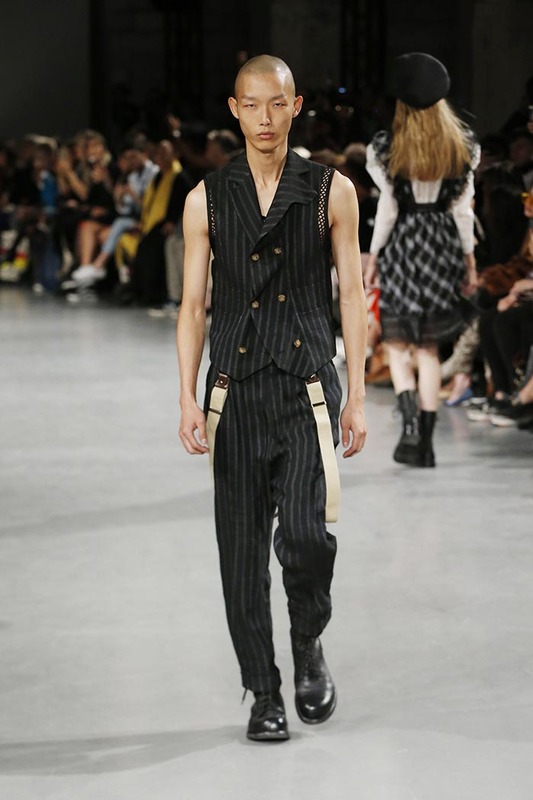 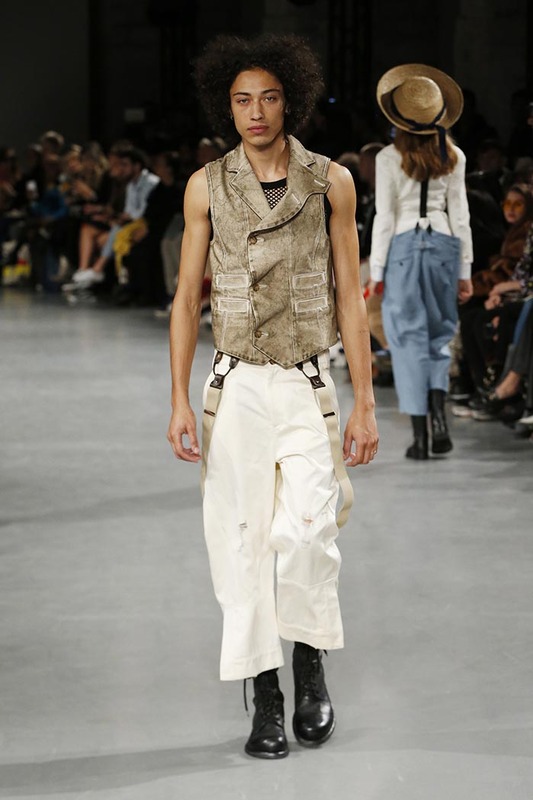 Age-worn silks and dirt trodden prints add narrative to this ethereal silhouette with contemporary toughness as pinafores are styled over string vests and clumpy paramilitary boots. 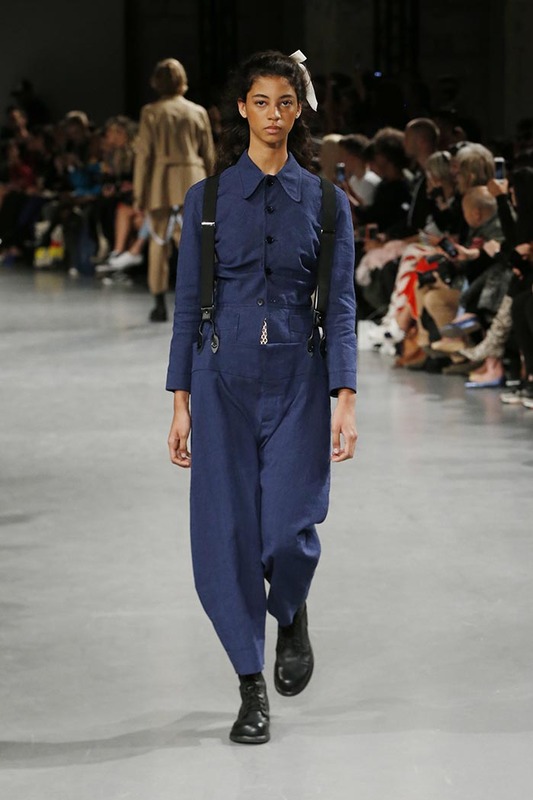 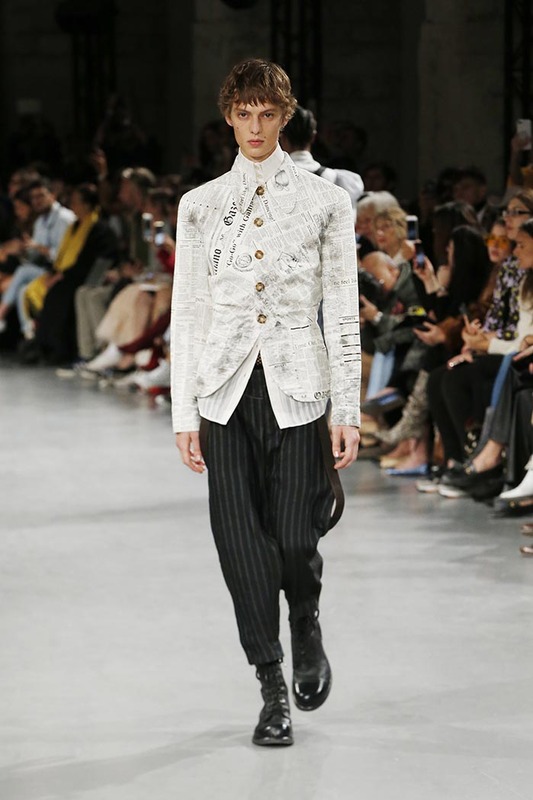 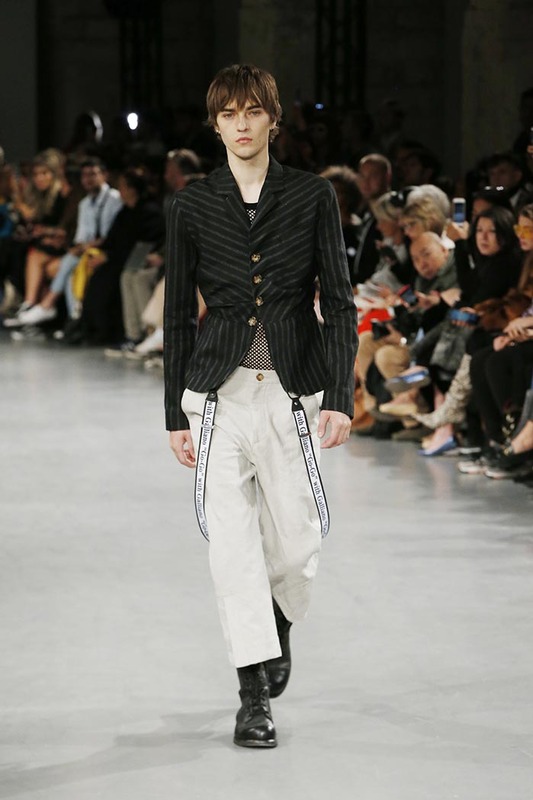 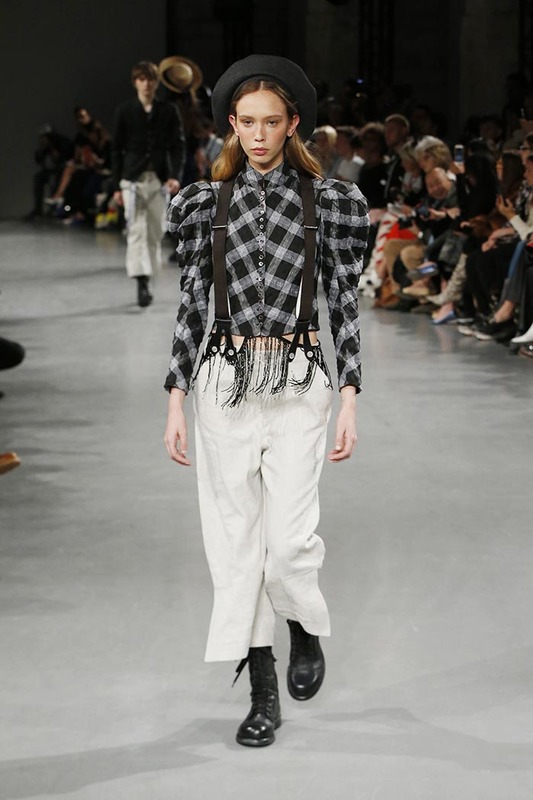 Boys wear braces, over-sized tailored pants, circular cut collars and jackets with string vests and long johns. 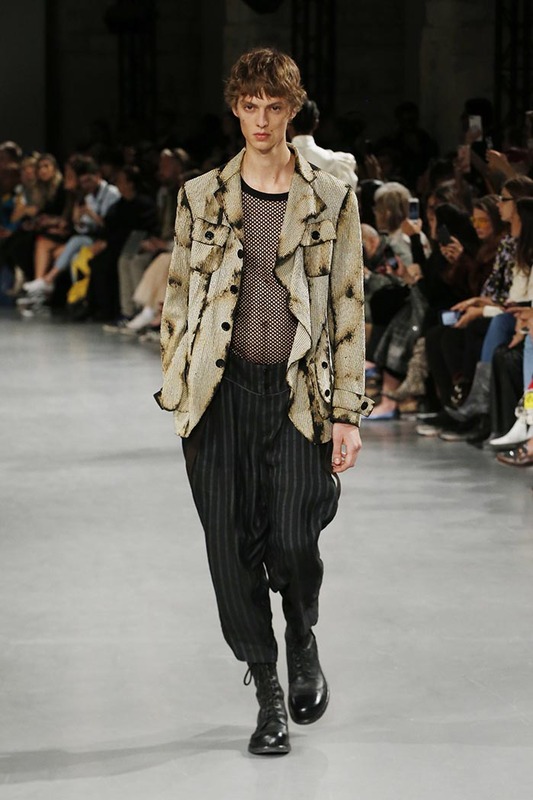 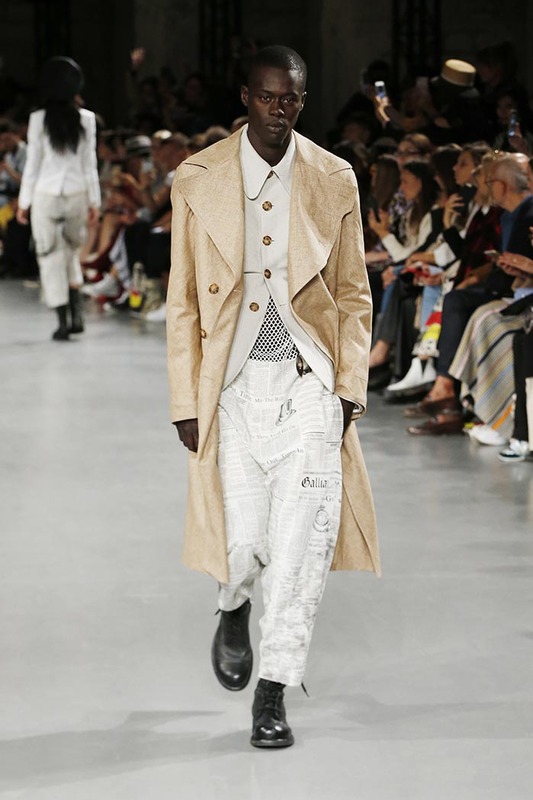 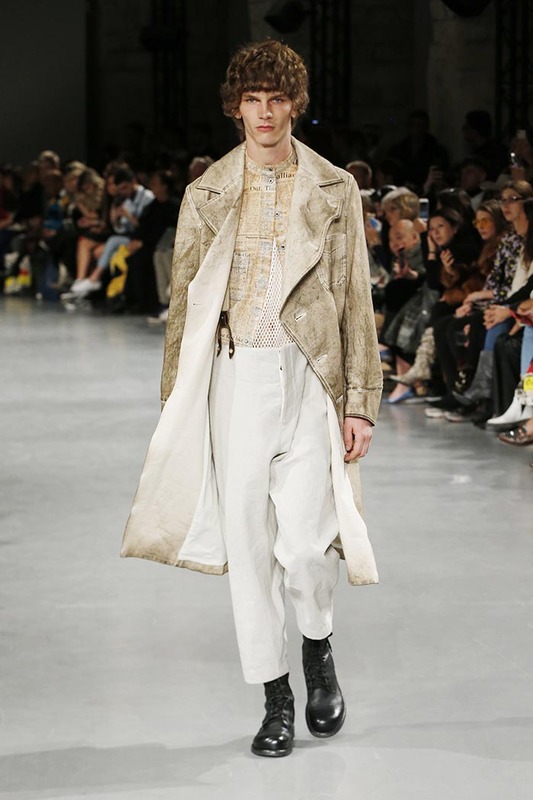 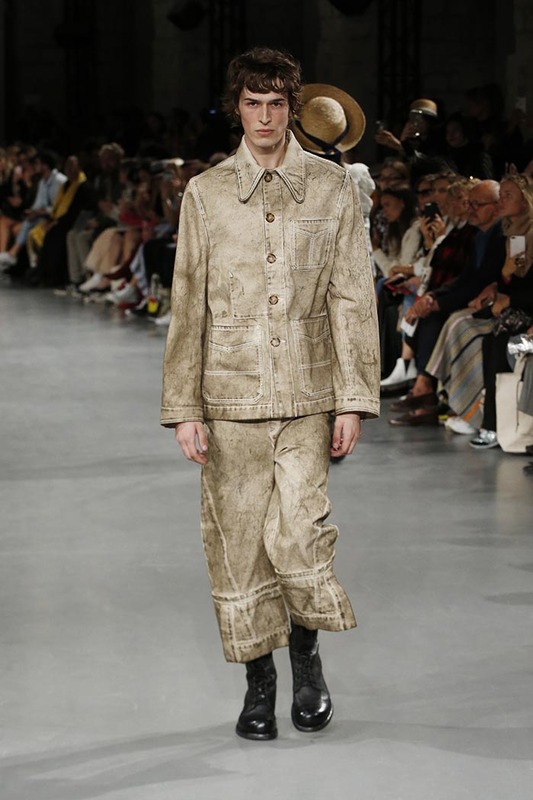 His fabrics are oil-washed, dirt-beaten and worn in appearance, the muted check print is bias cut and the Gazette is disheveled to add to the character from the suede sequins to tough paramilitary boots. 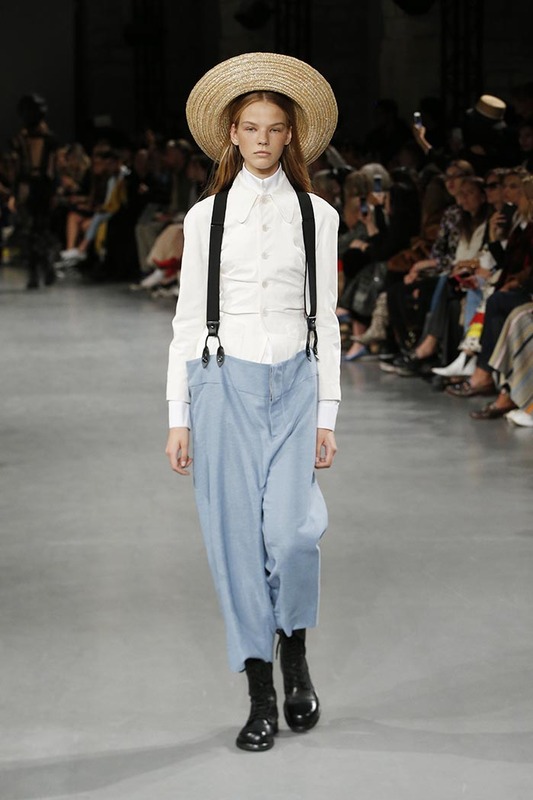 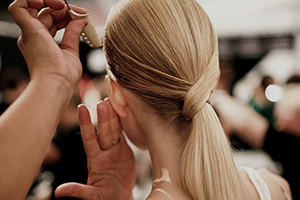 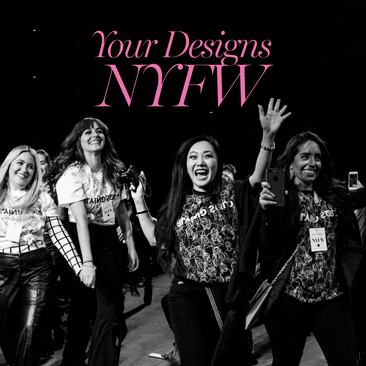 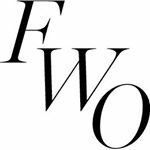 This is a spring summer of self-discovery, adventure and identity.